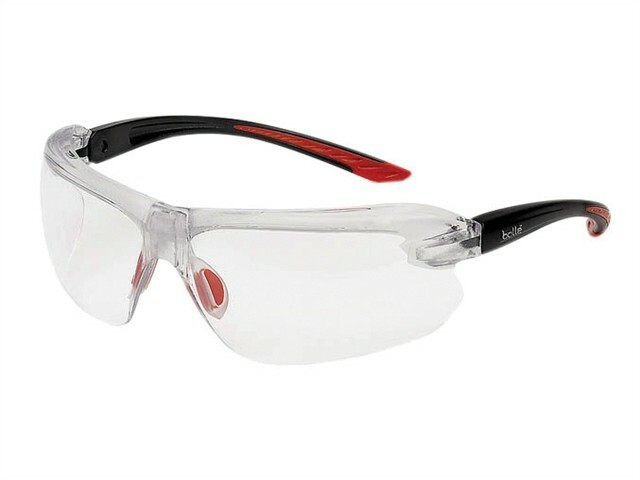 These Bollé IRI-S Safety Glasses feature a bifocal reading area. They have been designed to fit all face shapes. Ultra-modular with infinitely adaptable features. The unique B-Flex shape memory bridge is height and width adjustable. They also feature pivoting non-slip ergonomic temples. Optical class 1 polycarbonate lenses with Platinum® anti-scratch and anti-fog lenses. They are supplied with sports cord. Available in a variety of reading powers.